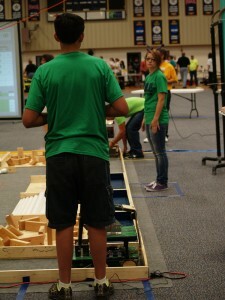 The 2011 CHIP Robotics Team competed in the local BEST Robotics Competition which took place at Texas A&M at Commerce on Saturday, October 8, 2011. 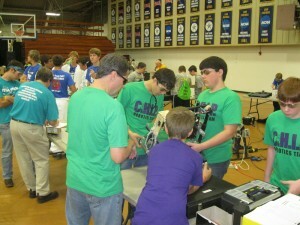 To compete in the BEST Competition (Boosting Engineering, Science, & Technology), the team had to participate in five categories: engineering notebook, robot game, spirit & sportsmanship, an exhibit booth, and a marketing presentation. 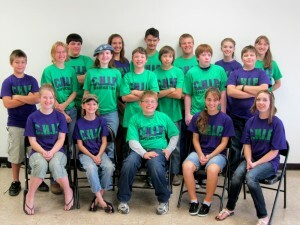 For more information on the BEST Competition, visit the BEST website. 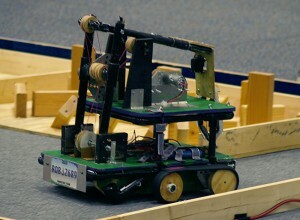 If you have an interest in joining the 2012 Robotics Team, please contact us. The BEST competition will be September 8 through October 20. See the calendar for all the details.